The rise of technology has enabled more people to create their life around their work. A “life-first” attitude is prevalent among millennials and this is quickly impacting all generations as human beings seek to have a fulfilled life, not a work-filled life. With the increase of robotics and automation, the nature of work is rapidly changing. Jobs as we know them today will not be the jobs of tomorrow. The traditional workplace of the past post-industrial age suited the landscape of what people wanted. A post-war culture was looking for stability of jobs and guaranteed income to create a stable home for families. Fast-forward to the technology age, to the liberation that technology has unleashed, and you have a collective cultural narrative that is focused on living and working anywhere while creating one’s best life. Where post-war culture was based on survival and the lowest level of Maslow’s hierarchy, we now have a massive cultural shift towards self-actualization. Uber is a freelance technology firm. I have talked to numerous Uber drivers in my travels and every one of them cites the freedom, the flexibility and the ability to earn as much or as little as they want as the key reasons they drive for Uber. Firms such as Upwork, Freelancer and others are growing rapidly as more freelancers join and book projects. 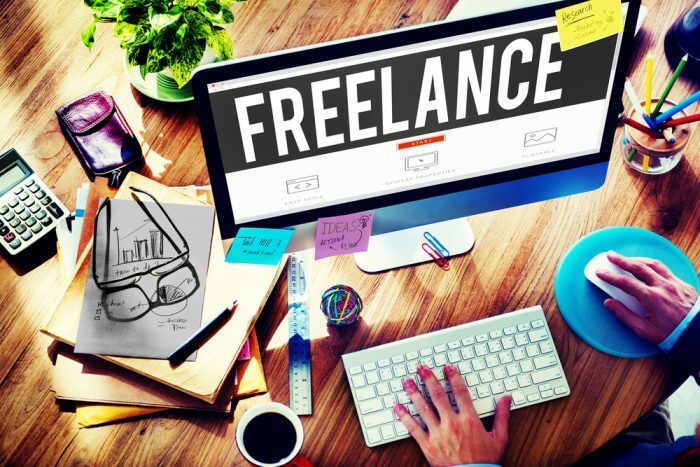 Freelancers, according to one survey, contribute approximately $1.4trn to the economy annually. One in three workers will freelance either as a part-time or a full-time activity. Almost half (47%) of millennials freelance, more than any other generation. In the future of work, employers won’t be focused on hiring and retaining full-time or part-time workers. The focus will be on building a team of freelancers that they can rely on and call on as is needed to run the business. With the rise of robotics, jobs won’t be lost as much, as new jobs will be created and this means that freelancers will have the majority of those jobs that are created. Why? Freelancers know they are only as good as their performance on their last project. Therefore, they are constantly upgrading skills, staying on top of tech innovation and actively seeking opportunities as they see them arise. Yet another reason why freelancers will own the future of work! The good news for employers is that business in the future will consist of a combination of workers that will include some base full-time employees, part-time employees and freelancers. In traditional business, you would hire and train an employee to do the job and invest in a lot of training and skill development; in modern and future business, companies will hire more freelancers to fill the gaps of skills that your current team may lack. A great example is a company that I do consulting work for; it is a multimillion-dollar manufacturer and, rather than hire a full-time graphics and web design firm, it has outsourced to a freelancer. The freelancer provides all of the benefits of having an in-house graphics and web design person without the added cost of a full-time salary, healthcare benefits etc. There is a risk to freelancing, which is a freelancer not getting enough projects to pay the bills. However, the incentive to work hard and perform is high because of this very same risk. There is opportunity for both workers and employers with the rise of freelancers. For workers, there will be more options than ever to either supplement current earnings or to travel the world while freelancing. For employers, the rise of freelancers creates greater ability to leverage remote teams and to hire for specific project skills. Profitability and productivity will be positive as businesses leverage the types of jobs that require full-time, part-time or freelance talent. The only downside? Leaders need to get much better at leading diverse teams and leveraging talent to achieve results. Cheryl Cran is the founder of NextMapping /NextMapping.com and the CEO of parent company Synthesis at Work Inc. Recognized as the #1 Future of Work influencer by Onalytica, and author of 7 books including NextMapping - How Great Leaders Inspire Everyone to Create the Future of Work. Other book titles include The Art of Change Leadership - Driving Transformation In a Fast-Paced World, (Wiley 2015), 101 Ways to Make Generations X, Y and Zoomers Happy at Work, (2010) and 4 other books on the ultimate leadership skills needed to be future of work ready. Cheryl's future of work thought leadership has been featured in publications such as Huffington Post, Forbes, IABC Magazine, Law Magazine, Metro New York, Entrepreneur Magazine, Reader's Digest, CBS Online, NBC Online, Fox Online and more. For over two decades Cheryl has built a reputation for delivering extraordinary value to clients that include AT&T, Bell Mobility, Omnitel, Gartner, British Telcomm, Manulife, as well as mid-sized companies and entrepreneurs in industries that include technology, health, agriculture, finance, insurance and more. NextMapping was developed as a proprietary business solution brand that encompasses all of Cheryl's work and research on the future of work and the leadership needed to navigate change in the workplace. It's time to not just hear about the future but to use NextMapping to get there! Technology in the workplace must be used to prepare for the future with a focus on how technology can enhance outcomes for people.